Let’s start this piece off with an important clarification. P-I-N-T-E-R-E-S-T is not a misspelling! Pinterest is the correct spelling of an online application for sharing pictures, links, and content. In essence, Pinterest is a virtual bulletin board. 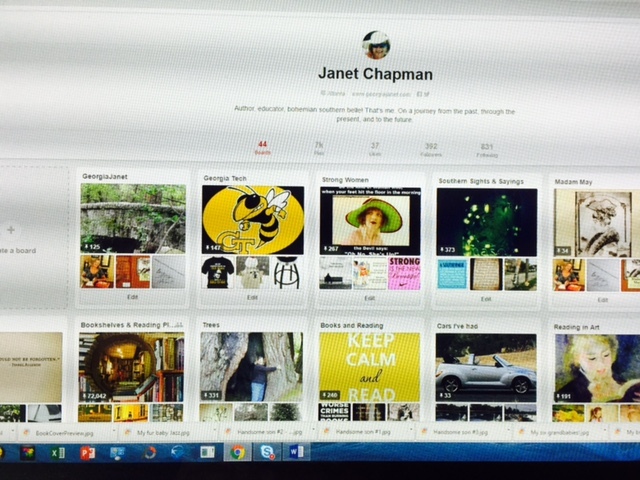 Pinterest can be an amazing tool for readers and writers. Gurus that tout the benefits of author platforms usually include Pinterest as a must-have, along with Facebook and Twitter. Pinterest is the name of the application. It is available in desktop and mobile versions. Pinterest is free, but does require registration. You can upload your own pin or “pin” an image someone else has uploaded. Pinners create categories known as “boards” where they pin their pins. Pinners can “follow” other pinners’ boards. When you register, you choose areas of interest to feature on your home feed. As you begin to pin, your home feed will reflect your interests. You can also search. Fair warning: after you begin to browse, before you know it, you may have spent hours looking and pinning! Like most applications, getting in there and doing it is the best way to learn. I have a personal Pinterest account with 44 boards and over 7,000 pins. I am in the process of developing a separate author account. As a reader, I love seeing what other readers are reading. There are boards with reading lists, personal comments on boards, boards about favorite authors, and quotes about reading. I keep a log of books I’ve read on my own Books I’ve Read board. I also have a board with art depicting readers, a board of reading quotes, and a board of reading places/libraries. You can connect with and follow other readers all over the world. There are boards specific to genres, authors, organizations about books and reading, and just about anything else related to reading. If you are a reader, you are sure to find something you love on Pinterest. If you are both a read and writer, Pinterest has even more to offer. So what is the big deal about Pinterest for authors? The key word is exposure. Pinterest, used prudently, is free publicity. It is another way to get your name, information about you, the title of your book, or content you want to feature out there. Pinterest has built-in procedures for linking and sharing your own boards, your website, and other websites. Your reader numbers can expand exponentially through your Pinterest followers. Writers today, whether published by the Big Three or small presses, or self-published, are expected to help generate publicity/sales, and Pinterest can be a useful tool to accomplish this. If you do a Google search for Pinterest and authors, you’ll get more than 30 million results. 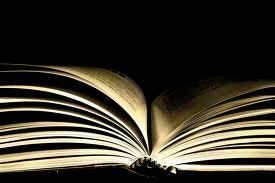 Entire books have been written on the subject. Pinterest for Authors (Pin your books and become a bestseller) by Selena Savage and The Lazy Writer’s Guide to Pinterest: Book Marketing Made (Stupidly) Easy, Vol I, by Michael Rogan are just two titles found in an Amazon.com search. Numerous blogs and writer sites have addressed the advantages to authors of setting up Pinterest accounts. Here are a few links to complete articles. Your account is about more than just your book or books. You can certainly showcase them while including other content that relates to your work. Pin photos from locations in your book, add recipes for foods mentioned in your writing, pin historical photos from any real life events in your book, maybe even make your own memes using snippets from favorable reviews and create a board for these! Remember, Pinterest is visual – there is very little room for description on your pins. Most pundits emphasize using a Pinterest account to build relationships with your readers. Show your personality so your readers can get to know you. Consider boards about the town where you grew up, pets, interests or hobbies, or your decorating or fashion style. Followers will be interested in your own favorite books, authors, and writing tips. Do you have a personal “brand” or theme in your writing? In my writing, I like to emphasize strong women. I already have a “Strong Women” board on my personal account but plan to incorporate it in my new author account. Avoid polarizing pins, such as political or religious pins, unless they are a hallmark of your writing platform. Sound overwhelming? You can start an author account with just one board. Build and create boards as you become more adept. Remember, you don’t have to come up with all of your content yourself – you can pin from other boards. And, you can keep your boards private until you are ready for the big reveal. Let’s look at some examples from actual author boards. Hugh Howey is the author of the award-winning Molly Fyde Saga and the New York Times and USA Today bestselling WOOL series. Some of his boards are About Me, Wool Inspired Art, and National Novel Writing Month. 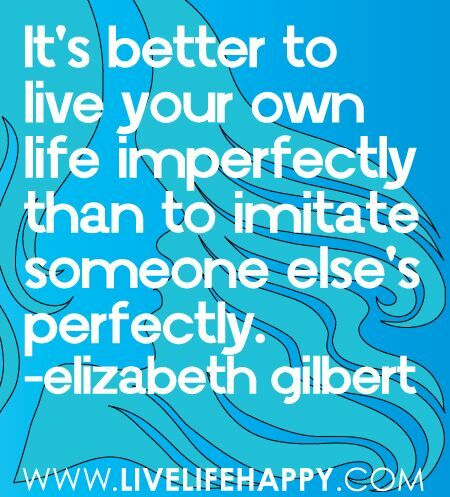 Elizabeth Gilbert, the author of Eat, Pray, Love, has 17 boards on her author account. In addition to boards for her books The Signature of All Things, Committed, and Eat, Pray, Love, she has boards titled Writers and Their Dogs, Random Art I Dig, Happiness Jars, and My Library Fetish. This list is by no means all-inclusive. 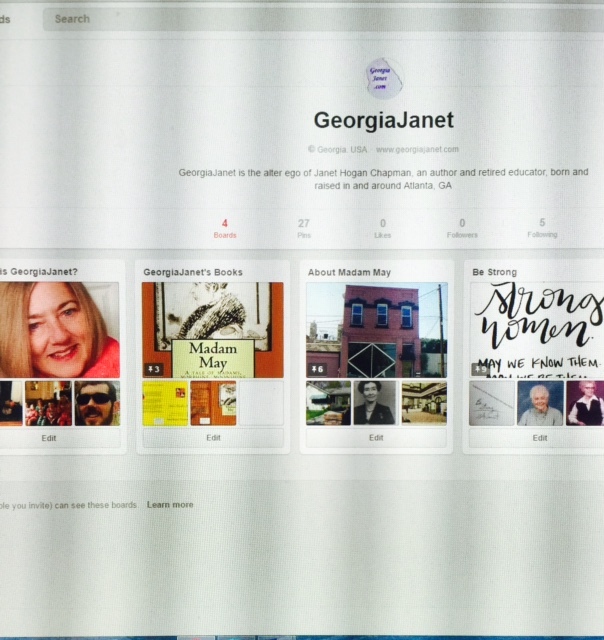 Put “author boards” in the search line on your Pinterest home feed and you will get hundreds of results. If you’ve looked at any of these author boards and clicked on a pin, you may have noticed links popping up. Pins can be linked to the author’s website, author page on Amazon, author page on GoodReads, and other author related sites. You can also set up your own website so that readers/viewers can pin from your site, and the pin will be linked and attributed to you! This process is a little more complicated than what I can explain here, and I haven’t gotten to that point with my own website, GeorgiaJanet, but I plan to, eventually. Ah, the life of a writer, finding time to write in the midst of building a platform, meeting life’s other demands, and browsing on Pinterest! Happy Pinning! As a reader, what would you like to see on your favorite author’s Pinterest boards? For writers: Do you have a Pinterest account? If so please share the link in the comment section. If not, would you consider developing one? Why or why not? This entry was posted in The Writing Life and tagged Author Platform, Basic Information on Pinterest, Exposure through Pinterest, Famous Authors on Pinterest, Pinners and Pinning, Pinners' Boards, Pinterest for Readers, Pinterest for Writers, What is Pinterest. Bookmark the permalink. Janet, thanks for the article. Pinterest is above all “fun” even if maybe in a warped sort of way. I dare anyone to just have ONE board, especially if you have hoarder tendencies. While I am fairly disciplined in what I “pin” I can imagine at some point people who have the habit of stuffing things into drawers in their homes will soon replicate the entire world-wide-web on their Pinterest sites. As for me, here’s the link to my site (https://www.pinterest.com/rdsimmons/) where I pin some of my favorite things, mostly books and things relevant to my own titles, but also bucket lists and inspirational photos. Pinteresting. Enticing as the list-making aspect of Pinterest is, I’ve so far resisted, for fear of becoming a professional techno-checker. Email, FB, Twitter, and Query Tracker already fill up too much of a day. But I don’t rule out a change of heart. Happened with the other four, starting with email back in 1986!!!!!! Downhill from there—or is it uphill? It is easy to get caught up in the techno world, Deb. The good thing about Pinterest is that it doesn’t have to be in real time. All I do is browse and post. I rarely message or comment. I often check out the links for the pins, and I consider that research. This is a great reminder to utilize all of the social media ‘resources’ that are available to us (now if only I could find the time to use them all, right?)! For myself, I tend to get pigeon-holed into a social media mode of sorts,and forget about others out there that can be equally as beneficial… Pinterest in one of them. I agree Crystal. I find Pinterest to be more laid back than Facebook, Twitter, Blogger. Doesn’t seem to require as much maintenance.